Flipside U #18 - Prince of all Saiyans! Another new Flipside U. comic, another DBZ parody! 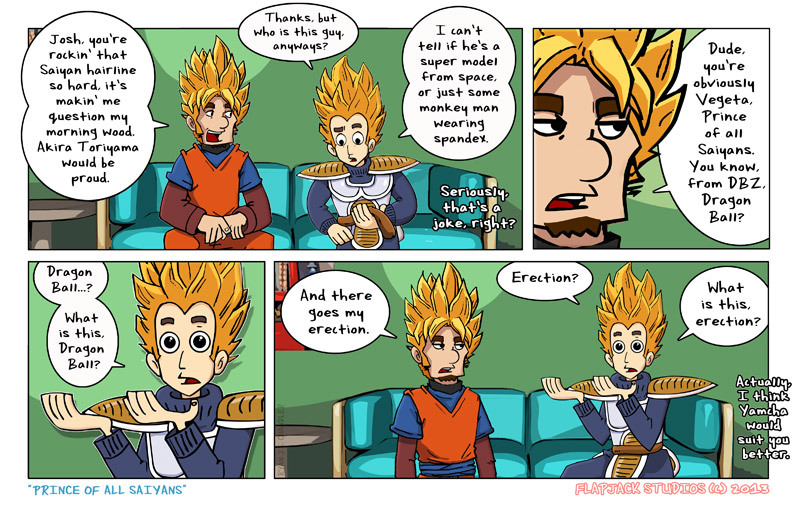 Haha, well it's actually part 2 of our Dragon Ball series of gags. Trust us, the power level of this comic is way over 9000. More like thrice to the billions or something like that. So make sure you put your scouters on and check out "Prince of all Saiyans." Expect more in the futue, and please share, share, share.